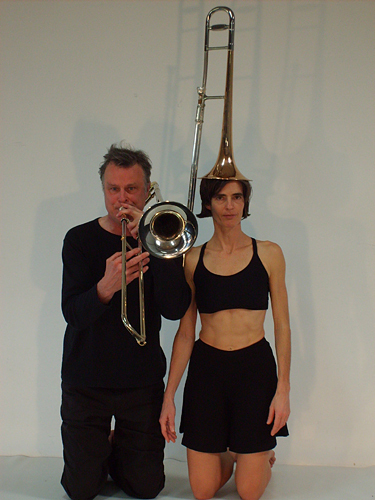 Britta Lieberknecht and Paul Hubweber create with body and sound images resonating in the special atmosphere of the location. They incorporate the acoustics of the space and its architecture. 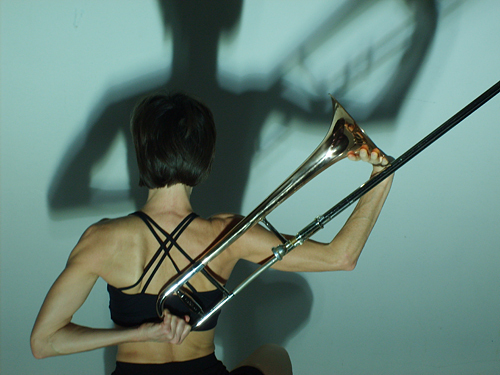 Dancing to the music, playing music to the movements, solo or interacting with instrument and body with the space. When partnering with physical contact the two strong soloists create an ingenuine and expressive performance. Length of performance varies designed for the event. Preparation at the site is necessary. Improvisation Series for a small performance area 5-10 min. Dancer and musician stand side to side and act staying in place. In virtuous and ingenuine manners they highlight the relation between sound and movement, object and body and between each other. 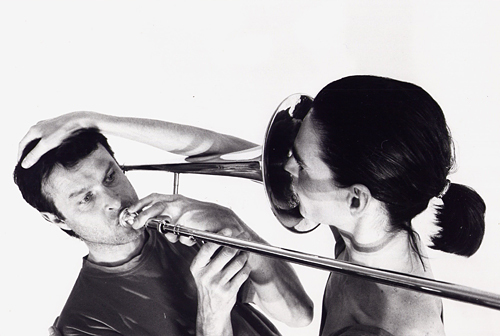 Besides showing this duo we are interested in participating in exchange programms and performances focusing improvisation for dancers and musicians.